Women's Open Spaces Dress is rated 4.5 out of 5 by 107. 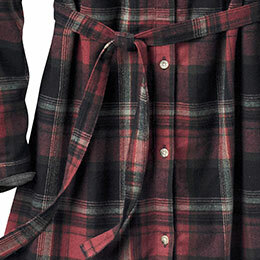 Options are always good, and that's what the removable belt on this flannel dress gives you. Leave it off or untied for lounging around on Saturday morning...then throw on some jeans, tie it, and you're ready to hit the road! 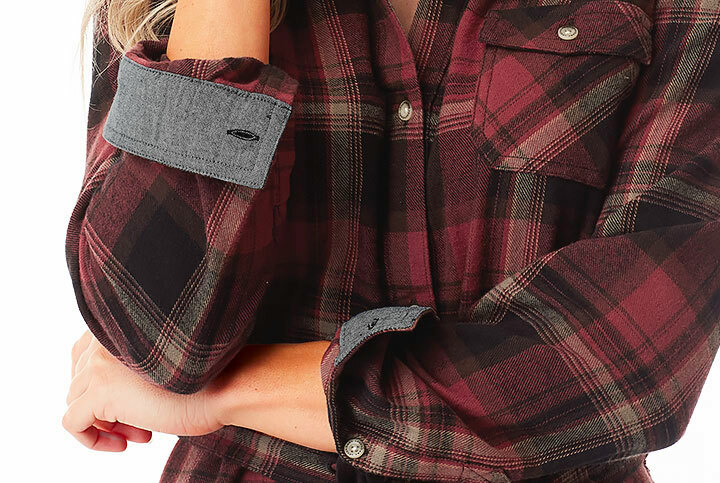 Softer than denim but with that casual yet rugged look, chambray accents add the perfect finishing touch to the soft cotton flannel of this flannel dress. 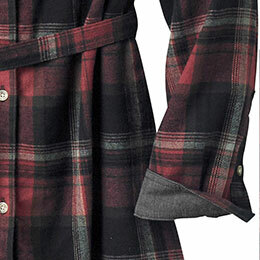 We took your favorite flannel and turned it into a dress! 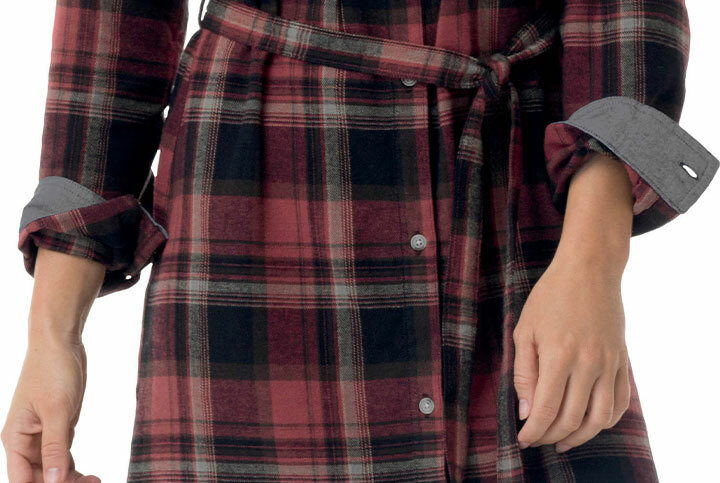 This button front plaid flannel dress sports a removable belt for a more flattering fit and a left-chest pocket. 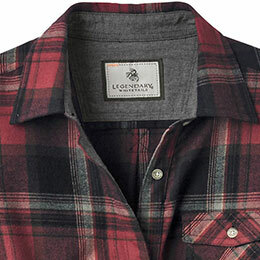 Finished with a metal Legendary® Signature Buck tag and Legendary® embroidery at upper back. Soft cotton flannel with chambray trim. Rated 5 out of 5 by Legendary mom from Happy at work This is my new favorite for work! It is so comfy it's like working in pjs! The length is perfect! Rated 5 out of 5 by Deb B from Love it I love the color and the fit. Easy to dress it up with accessories or go casual over leggings. Rated 5 out of 5 by Tracy from Best Dress Ever! This is my new favorite dress. 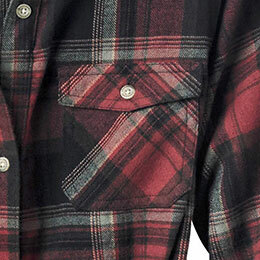 I wish it came in more colors/patterns. Will this be available before Christmas? I'm sorry to say this item is sold out for the 2017 Fall/Winter season and will not be restocked. If the washing instructions are followed, this dress should not shrink: Machine wash cold separately. Do not bleach. Tumble dry low, remove promptly. Low iron if needed. What is the length of the dress from shoulder to hem?